Just a few prayers for today. The devil is always prowling about like a roaring lion, looking for someone to devour. With prayer and penance, as Our Lady asked at Fatima, we can help to muzzle that lion and put him back in his cage. Arise O Lord and let Thine enemies be scattered, let those that hate Thee flee before Thy Holy Face. Eternal Father, I offer Thee the Holy Face of Jesus, covered with blood, sweat, dust and spittle, in reparation for the crimes of communists, blasphemers, and for the profaners of the Holy Name and of the Holy Day of Sunday. Almighty and Eternal Father, since it has pleased Our Divine Savior to reveal to mankind in modern times the power residing in His Holy Face, we now avail ourselves of this Treasure in our great need. 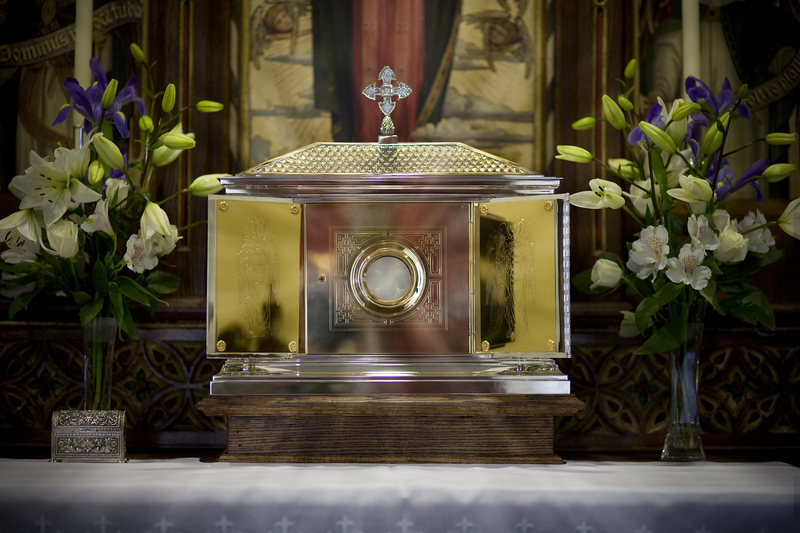 Since Our Savior Himself promised that by offering to Thee His Holy Face disfigured in the Passion we can procure the settlement of all the affairs of our household, and that nothing will be refused to us, we now come before Thy throne. Eternal Father, turn away Thine angry gaze from our guilty people whose face has become unsightly in Thine eyes. Look instead upon the Face of Thy Beloved Son; for this is the Face of Him in whom Thou art well pleased. We now offer Thee His Holy Face covered with blood, sweat, dust, spittle and shame, in reparation for the worst crimes of our age, which are atheism, blasphemy, and the desecration of Thy holy days. We thus hope to appease Thine anger justly provoked against us. The All-Merciful Advocate opens His mouth to plead our cause; listen to His cries, behold His tears, O God, and through the merits of His Holy Face hearken to Him when He intercedes for us poor miserable sinners. August Queen of Heaven, Sovereign Mistress of the Angels, who didst receive from the beginning the mission and the power to crush the serpent’s head, we beseech these to send thy holy angels, that under thy command and by thy power they may pursue the evil spirits, encounter them on every side, resist their bold attack, and drive them hence into the abyss of woe. O Divine Eternal Father, in union with Thy Divine Son and the Holy Spirit and through the Immaculate Heart of Mary, I beseech Thee to destroy the power thy greatest enemy, the evil spirits. Cast them into the deepest recesses of Hell and chain them there forever! Take possession of Thy kingdom which Thou hast created and which is rightfully Thine. O Heavenly Father, grant us the reign of the Sacred Heart of Jesus and the Immaculate Heart of Mary. I repeat this prayer out of pure love for Thee, with every beat of my heart, and with every breath I take. Amen. Lastly, we cannot recommend the constant petition and perfect confidence in Our Lady enough. For She who has perfect coercive power over demons can protect us from any diabolic attack of any kind. In fine, if we remain under Her mantle, no demon will dare to approach us. Yet this only comes when we never offend Her Son and we have perfect confidence in Her. We ought also to petition Her under the title of Our Lady of Sorrows in the spiritual combat for two reasons. The first is that when St. Joseph and Mary took Jesus to St. Simeon, he said to Our Lady that Her heart would be pierced so that the thoughts of many would be revealed. Our Lady, by undergoing the Passion with Christ, would merit an intimacy with God that no other creature had. As a result, He reveals things to Her that He does not reveal to others. However, He will allow us to petition Her so that She may reveal hidden things relating to the spiritual life. This is true in relation to our own defects but especially in matters of spiritual combat. In Spiritual warfare, precision is everything. In this respect, spiritual warfare is not any different than any other kind of warfare; the more accurate or specific the weapon, the more effective it will be. For this reason, if we pray to Our Lady of Sorrows, she will reveal to us the nature of the demon we are dealing with, whether that is in our own lives or in the lives of those to whom we have obligations. This provides us a specific target to combat. The second reason to pray to Our Lady of Sorrow is because of the promises made by her to St. Bridget of Sweden: “I will defend them in their spiritual battles with the infernal enemy and I will protect them at every instant of their lives.” Ultimately we are powerless to protect ourselves in the spiritual warfare. Only Christ can protect us and those whom Christ has commissioned to protect us, among whom Our Lady stands above the rest. So it is in Her that we place our confidence. In this month dedicated to the Holy Rosary we wanted to draw your attention to the power this prayer has in the most dire situations. The rosary is one of the greatest weapons we have in the Catholic arsenal and stories of its power abound. 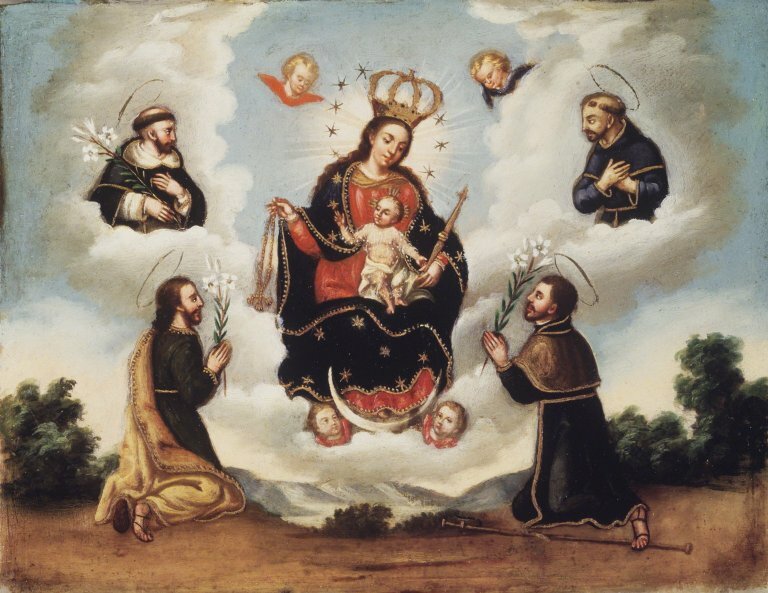 In fact, the reason we celebrated the Feast of the Holy Rosary on the seventh of this month is because the miraculous victory of the Christian fleet over the Turks at Lepanto is credited to the intercession of Our Lady through the rosary, which the whole Church was praying. A blessed Mother’s Day to all mothers! And we most especially look to Our Lady today, entrusting our earthly mothers to her care, and placing ourselves under her mantle. As more details unfold from Paris, we pray for those who have been killed in the terror attacks, for those injured, and for all who are suffering. And may the peace the world cannot give reign in our hearts. Amen.